Senior politicians have met Britain's media regulator in a bid to block Rupert Murdoch's takeover of Sky. MP and former Labour leader Ed Miliband confirmed that he sat down with Ofcom on Tuesday after filing a number of letters to the watchdog last month outlining opposition to the £11.7 billion deal. 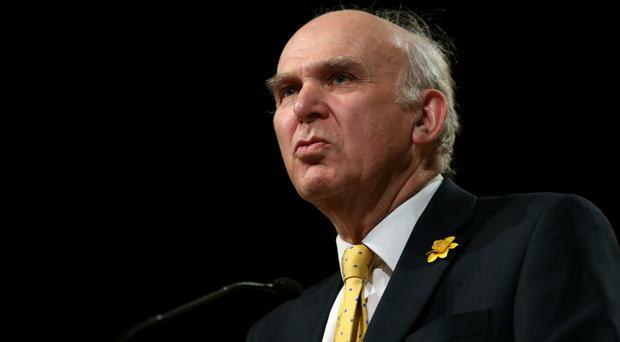 "This morning Vince Cable, Lord Falconer and I set out to Ofcom why we believe on grounds of plurality and fitness and propriety the Sky bid should be blocked," Mr Miliband said in a statement. "We drew attention in particular to the ongoing and developing scandals at Fox News which demonstrate yet again the tolerance of wrongdoing over many years and miserable failure of corporate oversight that characterises Murdoch-owned companies." The opposition comes amid controversy over sexual harassment allegations against former Fox News chief executive Roger Ailes and on-screen presenter Bill O'Reilly, both of whom have now left the broadcaster. Mr Murdoch's 21st Century Fox is aiming to seize control of the 61% of Sky it does not already own and UK regulators have been given an extended deadline - now June 20 - to review the takeover bid, in light of the June 8 General Election. While the deal has been given the green light by EU regulators, Britain's Competition and Markets Authority (CMA) and Ofcom have yet to complete their own investigations. Mr Murdoch's bid comes five years after his last tilt at taking the business over, through News Corporation in 2011, when Sir Vince - who has joined Mr Miliband to campaign against the deal - served as business secretary. The attempt faced opposition from media industry rivals and politicians before it was scuppered by acute pressure on the company brought about by phone-hacking claims involving News International. Mr Miliband said: "The Fox News scandal demonstrates that nothing has changed in their culture which consistently puts commercial success above ethical standards." "They are not fit and proper to take full control of Sky." The 2011 controversy also resulted in Sir Vince - who is seeking re-election in his old seat in Twickenham - being stripped of his responsibilities for overseeing media competition after he was secretly recorded by reporters saying he had "declared war" on Mr Murdoch over the takeover attempt. Sir Vince told BBC Radio 4's World At One that approving the latest takeover bid would have "serious implications". He said: "The people we talked to, the top legal team there, they were in what they called listening mode and clearly were very careful not to give anything away. "But we presented a strong case and we have the impression that there is quite a lot of others saying similar things." Ofcom gave no indication of the timescale for a decision, Sir Vince added. A spokeswoman for 21st Century Fox (21CF) pointed to a statement released over the weekend which stressed that the company "has acted swiftly and decisively" to address the sexual harassment allegations at Fox News. "21CF takes compliance matters extremely seriously. The transformation of its corporate governance and the controls imposed around the world were informed by the lessons learned in 2011," she said. By Andrew Madden, Local Democracy Reporter Belfast City Councillors will tomorrow morning decide on whether or not to extend Sunday trading hours in the city. A forklift manufacturing firm is creating 200 jobs in Monaghan. By Andrew Madden A total of 275 workers are at risk of losing their jobs after it was announced that 125 staff are to be axed at a factory in Carrickfergus.